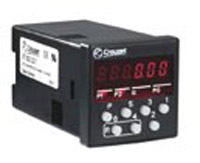 Dual Counter or Counter/Rate Indicator, 39 mm x 75 mm. 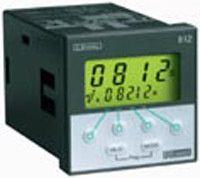 8 Digit, 0.46" (12 mm) LCD Reflective, or User-Selectable Green/Red LED Backlighting Preset Capability with Optional Output Card. Optional Serial Communication Modules (RS232 or RS485). Ability to Change Display Color at Preset. 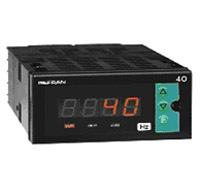 10 - 28 VDC Power. Up to 20 KHz count speed.